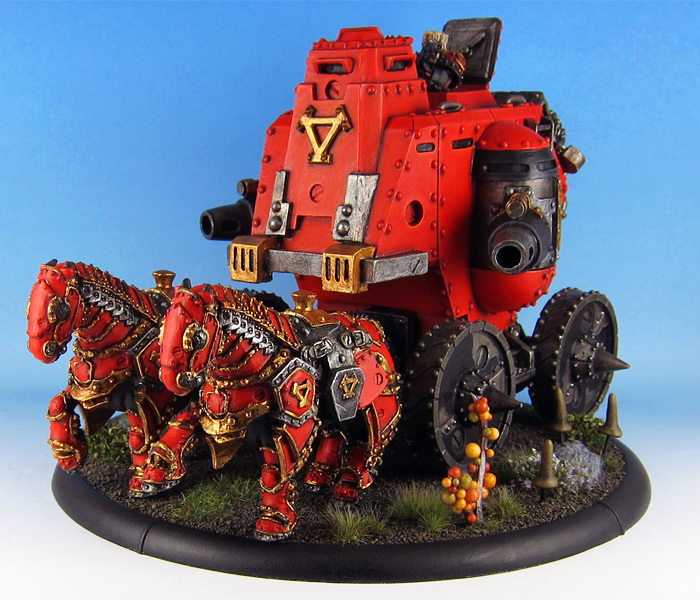 The Gun Carriage was the first Khador Battle Engine and the first large scale resin model from Privateer Press I worked with. 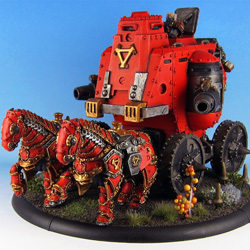 Privateer Press did release a revised version of the model some time ago, which fixed some of these problems and replaced some smaller resin parts with metal ones. 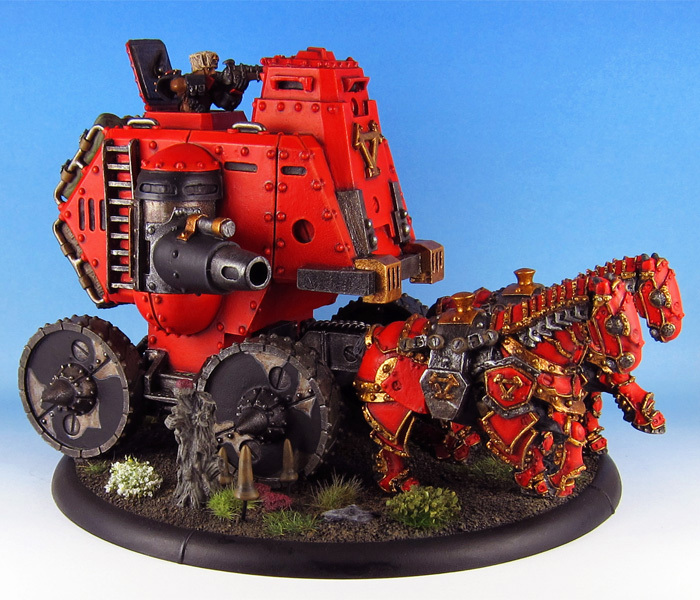 A weapon platform that can deliver death and ruin to nearly any part of the battlefield, the Khador gun carriage is a rolling engine of destruction. 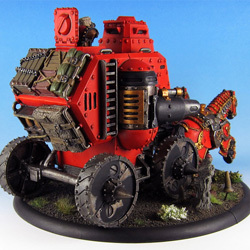 Its dual cannons can blast apart enemy warjacks, shatter troop formations, or transform the earth into a crater-scarred wasteland. 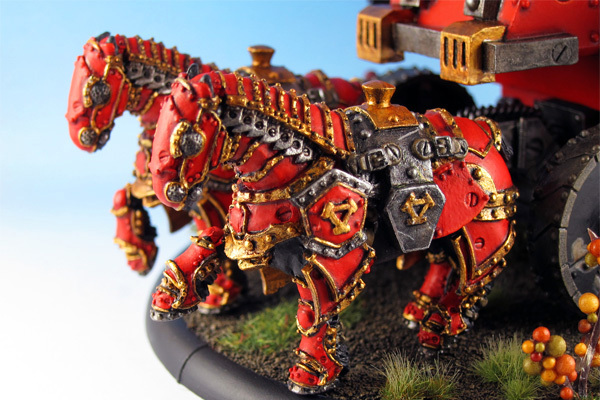 Their resounding thunder often heralds Khadoran victory on the battlefield. 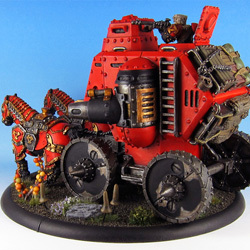 Even without its mighty guns the massive machine can easily shatter through enemy lines and trample foes beneath tons of iron and horseflesh. 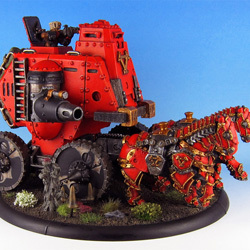 If you have never worked with resin models before, the gun carriage may seem like a daunting task. 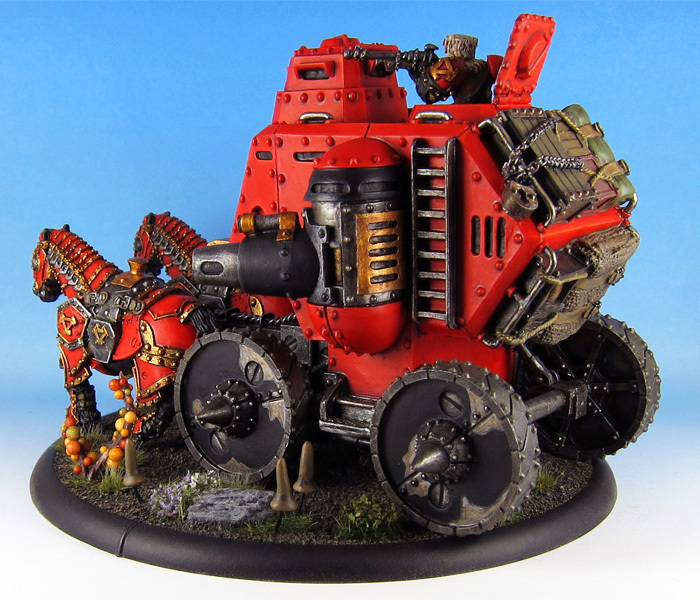 There are a few details to take note of, but assembling a large resin kit is not much different from a metal or plastic kit. 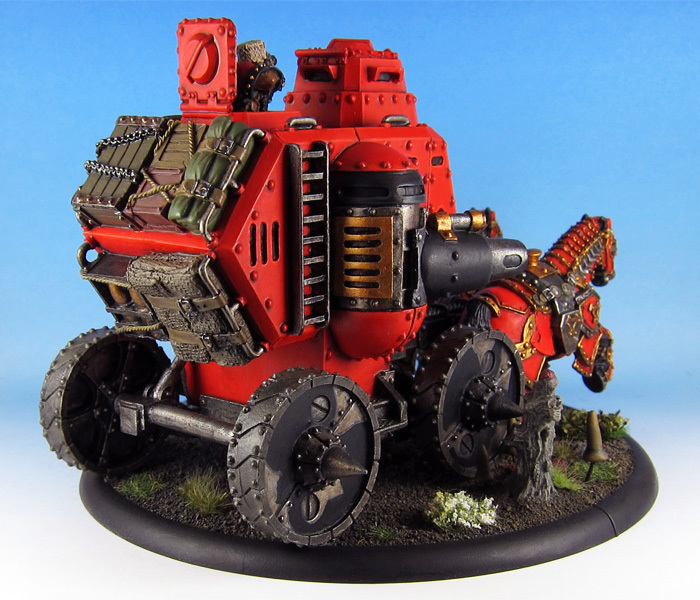 I’ve worked with a number of resin models before, including some large scale models from Forgeworld. 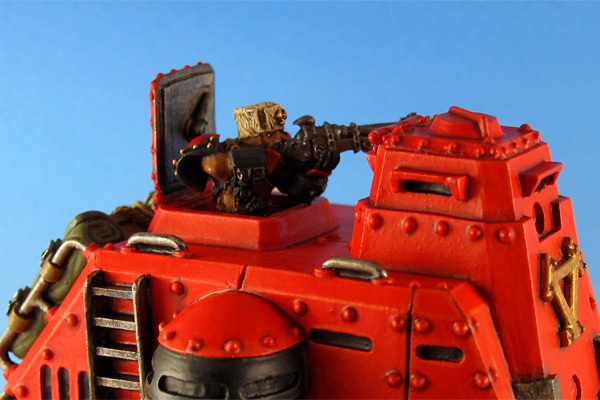 I agree that assembling resin is not much different from plastic. 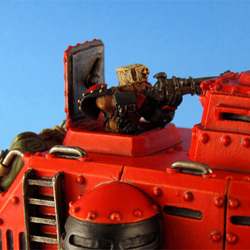 It all depends on the quality of the kit and the cast. 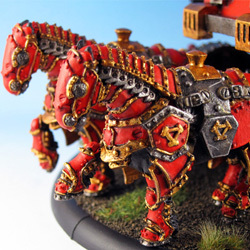 Sadly the Privateer Press resin casts are rather bad, but they have similar problems with some of their plastic kits (the first Cyriss kits for example). 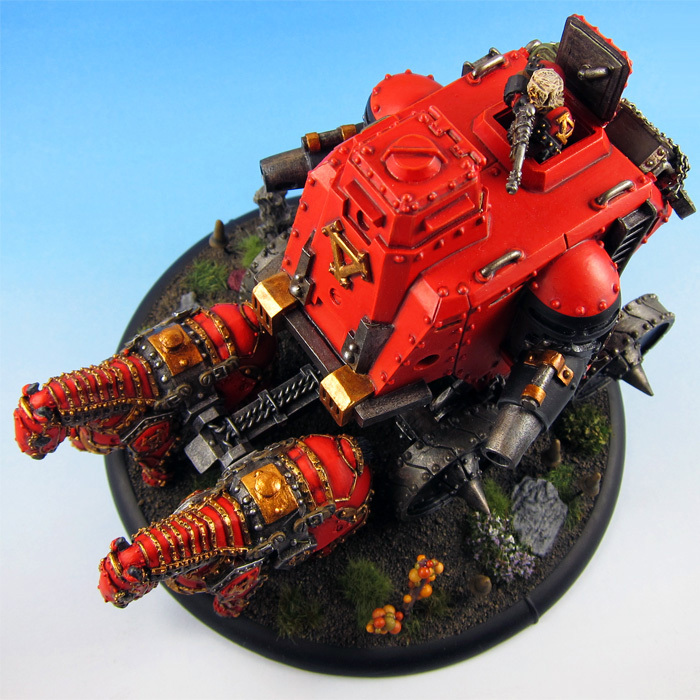 There are other companies out there which create fantastic model kits with resin, like Paulson Games for example.